Irene Worley Waddell, age 85 of Whiteville entered Heaven to be with her Savior and Lord, Jesus Christ on Saturday, July 7, 2018. Irene was the daughter of the late Emory David Worley and Ruth Hammond Worley. She was preceded in death by her husband of Fifty-Three years, Reverend Elbert Lee Waddell. She was also preceded in death by her grandsons, Christopher Waddell and Miles Waddell and her son-in-law, Garnett Holcomb, and Great Granddaughter Amanda Lynn Duff. She is survived by her four children Tommy Waddell (Susie) of Loris, South Carolina, Debra Holcomb of Whiteville, Sandy Ward (Harold) of Whiteville and Bobby Waddell of Whiteville. She is survived as well by her grandchildren, Kyle Holcomb, Ashley Duff (Robert), Josh Holcomb (Tiffany), Amanda Clemmons, Regina Ward, Cassandra Lynn Hammond (Mikey), Matthew Ward (Billie Jean), Matthew Waddell (Emily), David Cheox Waddell, Zachariah Waddell and Jason Waddell. She is survived as well by her great grandchildren, Chase Ward, Brianna Ward, Emily Clemmons, Kaitlyn Clemmons, Abby Clemmons, Laityn Cribb, Mason Cribb, Jessica Holcomb, Jack Holcomb, Jacob Duff, Tristan Duff, and Aaliyah Waddell. She is also survived by her sisters, Rudie Malpass and Sadie Strickland of Wilmington. Irene was a devout Christian who believed in five fundamental Christian Principles: Bible, Prayer, Church, Giving and Witnessing about Jesus Christ, her Savior and Lord. She practiced these Christian Principles along with her husband, Rev Elbert L. Waddell for many years. As a young girl she accepted Jesus as her personal Savior and was baptized. At the age of ten, she lost her dad, David Emory Worley to cancer. Her mother, Ruth Worley, was left with five children to raise. Irene’s early childhood was difficult, but Jesus was important to her. She would walk for miles to church at Hinson’s Crossroads. She met and eventually married Elbert Lee Waddell and they had their first child, Tommy in 1950. Elbert and Irene established a restaurant business in Tabor City alng with Elbert painting with his crew of men. He and Irene were very accomplished and enterprising at their business. When Elbert rededicated his life to Christ on a Wednesday night service at the Tabor City Baptist Church, their life changed. Dr. James Johnson and his wife, Dr. Ellen Johnson, were serving at Tabor City Baptist at the time. The Wednesday that Elbert walked down the aisle during the invitation, Irene was right behind him. She has been the stabilizing force in his life throughout their marriage. While at Tabor City Baptist Church, Irene taught Sunbeams and G.A.’s. She was involved in the WMU, and Choir. She was gifted as a prayer warrior. She exemplified discretion, directness and tough love. Eventually Elbert would surrender to preach the Gospel. He, Irene and family, which had grown to Tommy, Debbie, Sandy and Bobby moved to Whiteville, North Carolina where Elbert began to serve as the Pastor of West Whiteville Baptist Church. Irene stuck by his side throughout those years. Eventually, they were led to begin a new church, The Friendly Baptist Chapel in their den in July 1970. The name of the church would later be changed to South Whiteville Baptist Church which is now located on Thompson Town Road. Irene has remained a faithful church member. Over the years she has been led by Christ Jesus to establish a dynamic phone ministry. Her abilities as a Counselor throughout the years of her life have been extraordinary. When her son-in-law, Garnett Holcomb, her husband Rev. 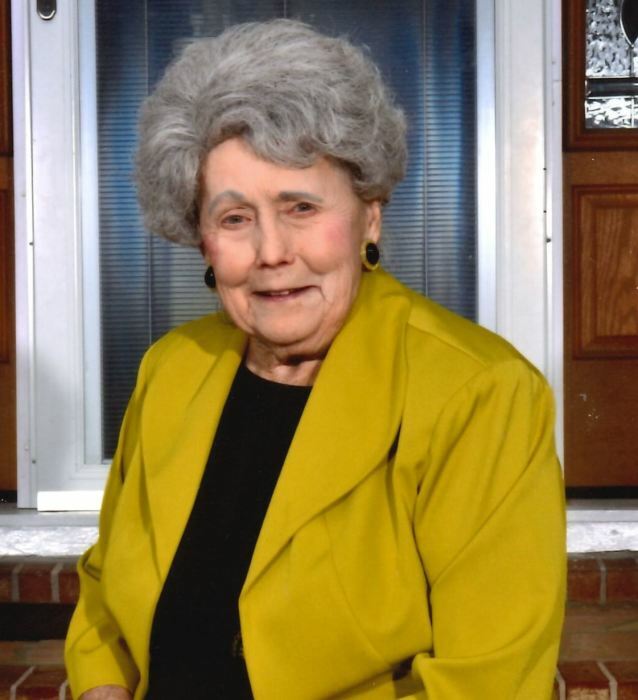 Elbert Waddell, and her grandsons Christopher and Miles Waddell passed away, she remained a bedrock of Christian Faith for her family. She has suffered with heart problems and cancer over many years of her life, but this did not stop her from having a humorous demeanor. She counseled her children, grandchildren and others of many years and she did it with a state of total humility and guidance by the Holy Spirit. She will be missed by her family and loved ones, but rest assured she’s with the Lord Jesus Christ in Heaven. Funeral Service will be Wednesday July 11, 2018 @ South Whiteville Baptist Church at 2pm with Rev. Bobby Waddell officiating. Burial will follow at Whiteville Memorial Cemetery. In place of flowers the family ask that expressions of love be sent to South Whiteville Baptist Church 1205 Pinckney Street, Whiteville, North Carolina 28472. The Waddell family would like to express our appreciation for Hospice. The caring nurses, nurses aides, and doctors have been extraordinary in their care. The family would like to thank all of those who have shown expressions of love on behalf of Mrs. Irene Waddell. May God bless those who have honored the Lord with your acts of love and kindness.